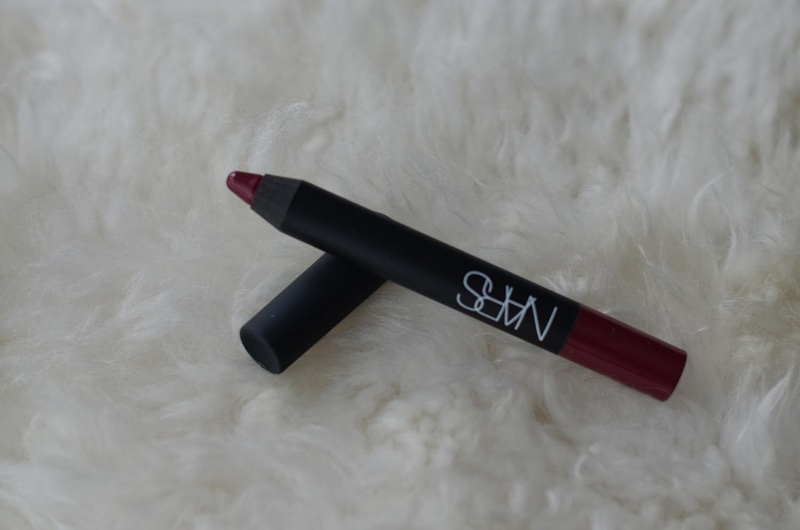 My love for NARS is a strange beast. It comes and goes quite suddenly, almost as though it's a short-lived virus that must run its course... and by running its course I mean I buy a ton of NARS products in a short period of time. But that's not to say I don't actually enjoy the products I buy, or NARS in general, because that would be very far from the truth. 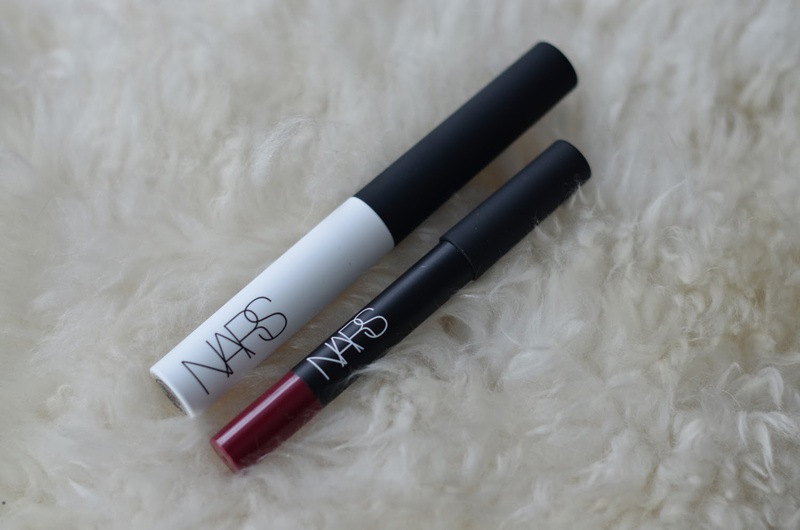 I love NARS. Quite a lot. But I just find it strange that I go on NARS binges, then manage to not buy anything for months on end. It's as though those binges give me my fix... until I'm suddenly craving more. Does this mean I'm a NARS addict? Do I need to look up my local chapter of NARS Anonymous? To be fair, this most recent binge - if you can call it that - is quite small, and I'm very proud of myself for restricting my urges to two items. I also had a $20 Sephora gift card to spend (holla, VIB Rouge!) so I definitely got a great deal. I think this is progress. This is the damage: the Pro-Prime Smudgeproof Eyeshadow Base and the Velvet Matte Lip Pencil in Damned. I had been planning on purchasing a full size of the eye primer for quite some time, probably a year now, but had told myself that I needed to finish my tube of Urban Decay Primer Potion first, which has proven to be nearly an impossible task. UDPP has pretty much stopped working on me, so it was a struggle to keep using it. So, I caved. The second I opened that Sephora email with the gift card, I knew that this was finally going to be mine! So here's to another NARS success. To be honest, I think I can count on one hand, or even one or two fingers, the number of duds I've purchased from NARS. The saddest dud, if you can call it that, was their Sheer Glow foundation, which was a wonderful colour and finish but broke me out like crazy. I was devastated. Part of me still is. The other dud, and again, this is more of a "doesn't work for me" sort of thing, is their eyeshadow duo in Cordura. Beautiful colours, but I can't seem to make them work. Ah, such is life! What beauty brands do you find yourself bingeing on? 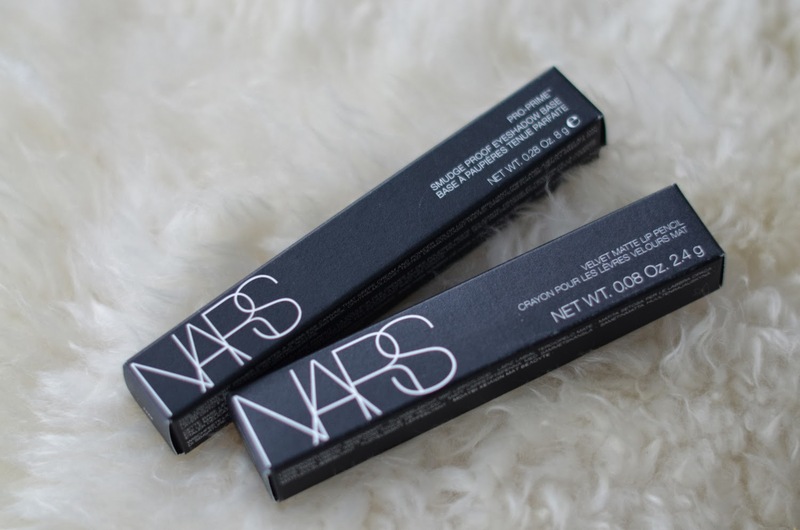 What are some of your favourite NARS products? The idea to get new glasses - or rather, a second, "back-up" pair - came to me rather suddenly and with quite a sense of urgency. Before Wednesday, it hadn't really occurred to me to get a second pair, especially since my prescription is the same and I'm not particularly clumsy or forgetful in terms of my specs. That's not to say I'm not clumsy and forgetful in general, because to be honest I think I'm much more of both than I'd really like to admit. However, since that fateful day when I was 15 - the day I got my first pair of glasses because I could not see the blackboard properly at school - I have neither misplaced nor broken a pair of glasses. This remains the case. Which means, my luck has to run out sometime, right? 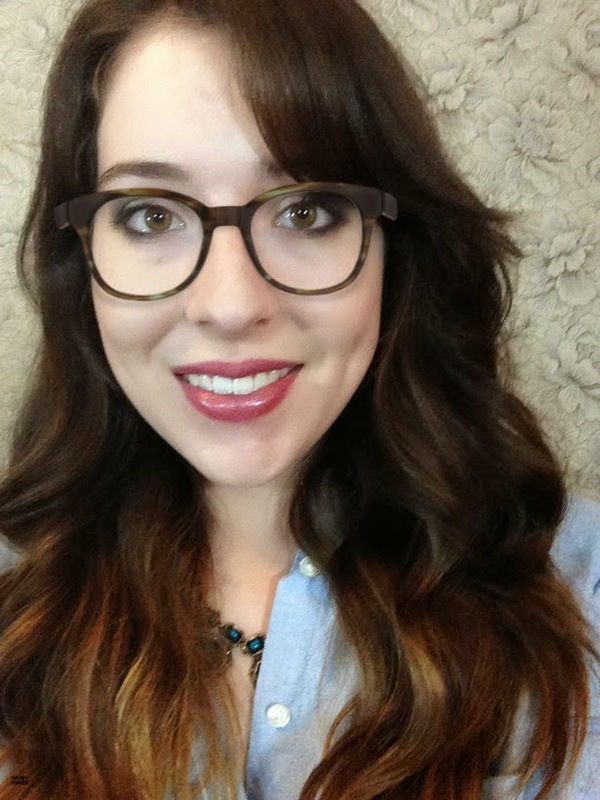 So, after some online browsing and agonizing over whether this frame or that frame would actually look good on my face, I believe I've settled on a pair from Warby Parker. 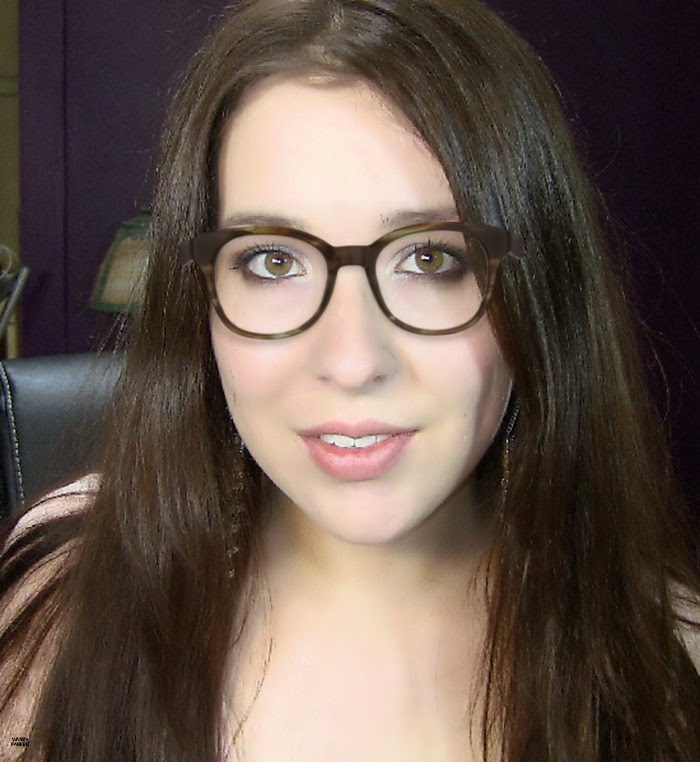 I had almost gone for a pair of Christian Dior frames from Clearly Contacts, but they are significantly more expensive than Warby Parker, and what can I say, I like to be thrifty (if you can call $120 "thrifty"). And there's something about these frames that just... speak to me. These are the Mallory. It's kind of ironic that I'm most likely going with these, as I had never even heard of Warby Parker prior to early November, when one of their communications reps contacted me about doing a blog post on the launch of the Warby Parker x Leith Clark (whom I also had never heard of!) collection in December. Obviously I declined, as I was completely unfamiliar with them, but it got me looking on their website... and loving what I saw! What I love even more: the price! I know I questioned before whether $120, the cost of the frames AND the lenses, can be considered thrifty, but in the case of eyeglasses, the answer to that would be YES! I think I paid nearly $300 for my current pair of Ray-Bans, plus the cost of the eye exam. So, $120 is indeed a steal! So the photos below are from the incredibly useful "try-on" tool, with which you can upload a photo of your beautiful face and essentially "try on" the frames. It was tough to find a photo of myself looking straight ahead, looking half-normal, and not already wearing glasses - so no laughing at these, please! I think I've settled on the Blue Marblewood, which is the frame shown in these pictures. I like the darker contrast against my skin. I feel like the Gimlet Tortoise is just too yellow and distracting for me. I'm going for a different look, but not that different. 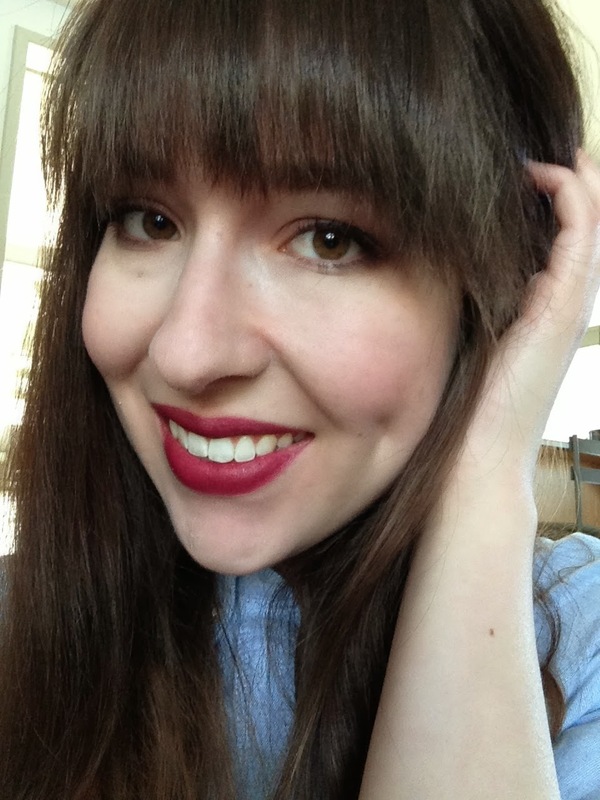 Unfortunately I don't have a photo of myself with my most recent hairstyle - full bangs - as the ones I tried to use kept getting rejected by the tool. I'm quite confident that my face won't be overwhelmed by both the bangs and the larger hipster-esque frames - it's a big enough face for the both of them! And in the case that bangs do not mesh, well... I'm not averse to growing out my bangs to suit my glasses. It's just hair after all! So, what's the hold up? I'm currently waiting on my most recent prescription to be mailed to me (yes, mailed!) from my optometrist. So once that arrives through the snail mail, it's on. On a side note, this is my first time even considering buying glasses online. I had no idea it would be this difficult and overwhelming! Obviously the low cost and convenience of not having to go get an eye exam outweigh this, but it's still stressful, as there is so much selection to sift through. I'd love to know what you think of my pick of frames! Obviously this is just a "ballpark" tool - they will not look exactly like this on my face in real life. From my research/Googling, it seems that the frames are slightly larger than they look here. I mean, heck, they look like two different sizes in both of these photos (check out where they end in relation to my nose in each pic!) so who even knows. All I do know is that I'm excited for some variety! I'll keep you all updated! 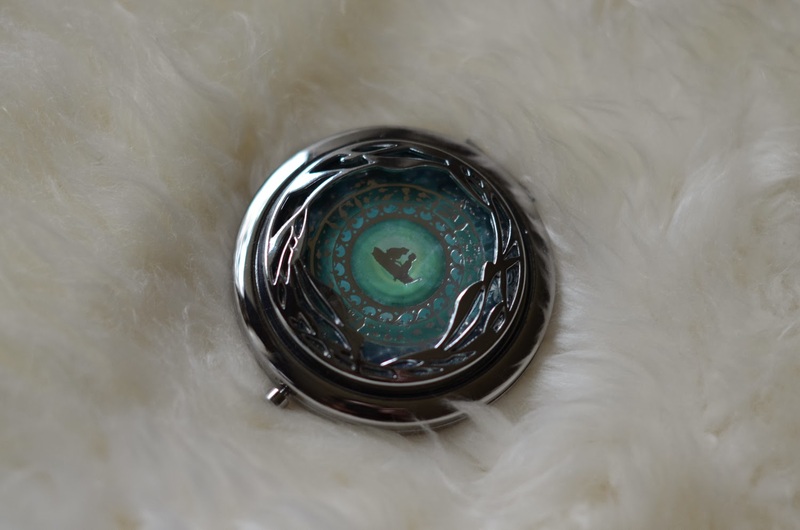 I apologize and acknowledge in advance that this compact is no longer available, so I'm being a bit mean by showing it to you, but it's just so pretty and I'm so excited to have it that I really could not help myself. I hope you'll forgive me. This is one of those things that I thought I had missed out on and was very sad... until magical, wonderful luck happened. Isn't that just the best kind of luck? I'll start with the backstory of telling you all that as a kid, I was obsessed with The Little Mermaid. I had a tape (yes, I'm that old!) of the movie soundtrack that I listened to every single day and memorized, and I would put on Little Mermaid concerts for friends and family. I had Ariel and Eric Barbies, and... my entire bedroom was Little Mermaid themed. And not just little knick knacks and posters. This was a serious room theme. My walls were covered in an "Under The Sea" mural, featuring life-size likenesses of Ariel, Sebastian, and Flounder. My ceiling was covered in tulle to mimic ocean waves. In my mind, I was Ariel. So when I found out about this Disney Collection, there was no question. I had to get something, and that something was this compact! 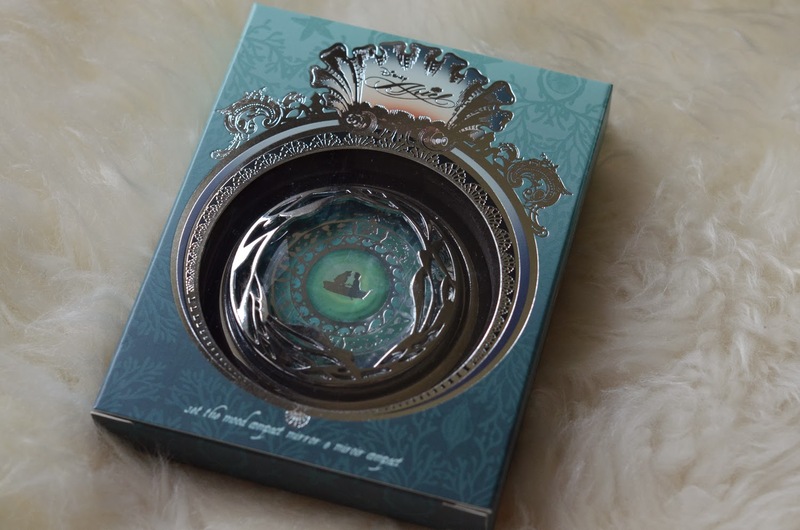 The tides were against me though, since I missed out on this the first go around, as the compacts are always the first to go and it sold out in a matter of hours (i.e. while I was still sleeping!). This was the case with the two previous collections too - I just could not get a hold of them! I was very disappointed, especially after seeing more detailed photos of the compact online. Then in mid-October, I was casually perusing Sephora online and... there it was, in all its glory! I must say I pondered for a few hours on whether I should get it, which sounds absolutely ridiculous now. The real deal-maker was that I have VIB Rouge free shipping, and I certainly would have bought this had I seen it in store. So, into my cart it went! And good thing, too, since it was sold out by the next day! I would say my only complaint, if you can even call it one, is the quote used on the inside of the mirror. It doesn't grab me as an iconic quote from The Little Mermaid at all. In fact, it's rather obscure. If I remember correctly, it's from the TV series, and not the movie. Weird, right? Not a deal breaker obviously, but I think that could have been thought through a bit more. 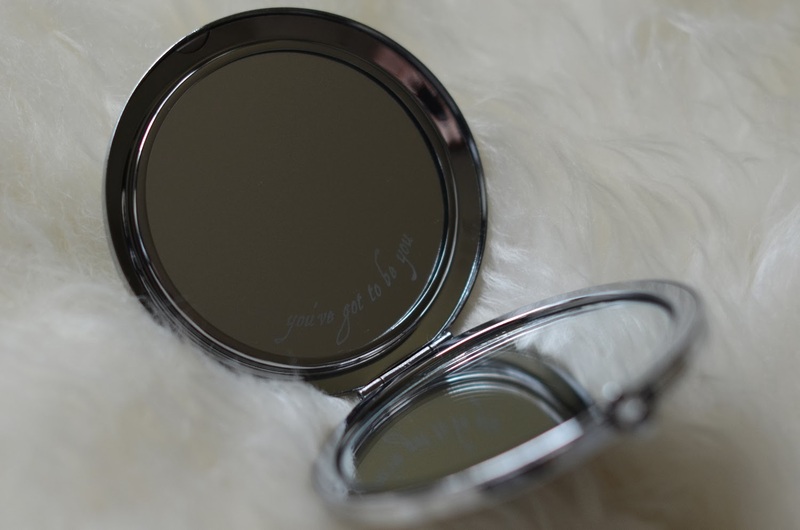 Did you manage to get your hands on this compact? Have you ever had a second chance to get something you thought you had missed out on? Every fall, I choose a weekend day (or two!) and pile myself into my car and trek out to Manotick Station to check out Third World Bazaar. Okay, so driving out to Manotick Station is hardly a trek, but it's kind of in the middle of nowhere and it's usually very chilly at this time of year, so it feels like quite the journey. But, I managed to make it out twice this year. I've been going for years, and I always manage to find some unique and interesting things to bring home with me. This year was no different; I got my hands on some really cool stuff! Third World Bazaar is a family-run business that purchases goods directly from producers in developing countries, ships them back to Canada, and sells them in a drafty barn in Manotick Station. The fact that they do all the buying, importing, and selling themselves makes their prices incredibly reasonable, which is the main reason I keep going back! Everything is displayed in a really interesting way, sorted by country and style, and there's a huge variety in terms of items; you can buy enormous pieces of furniture, persian rugs, dishes, drums, clothing, and jewelry, just to name a few things off the top of my head. On my first of two trips, my theme was "bowls" in a big way. I'm very clutter-messy, so I'm always drawn to things I can put other things in. 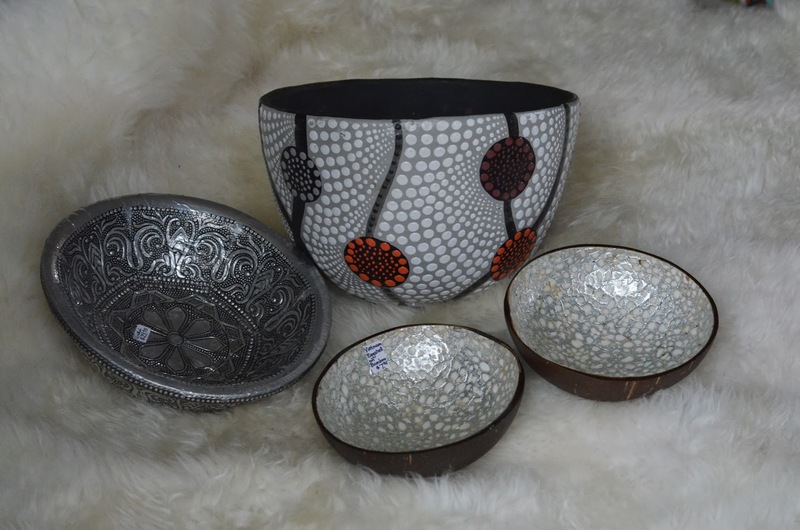 I also have a serious thing for hammered metal, so the bowl on the left, from India, was a no-brainer. It's currently on my vanity, home to my "everyday essentials". 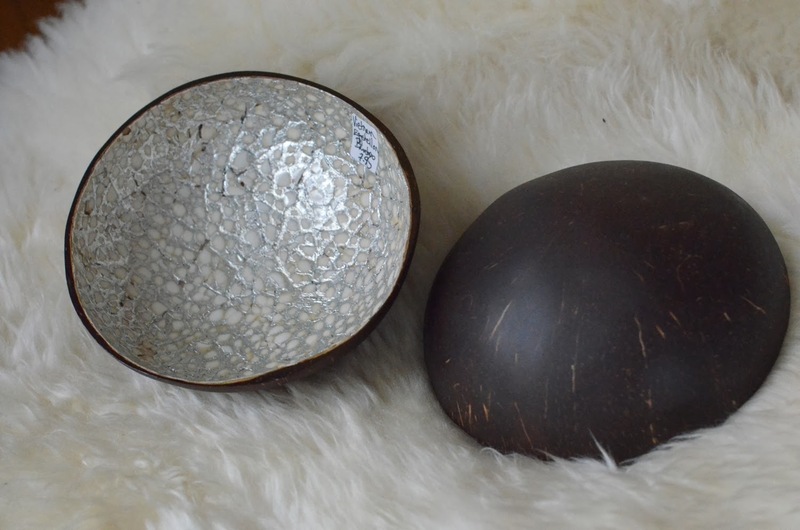 The two smaller bowls are absolutely fascinating - they are from Vietnam, and are an iridescent eggshell lacquer on brown bamboo. They are completely round on the bottom, like one half of a coconut, and add a really interesting element to my room and closet decor. The bigger bowl in the back is from Bali, and I purchased a small dish in the same pattern in red last year, so it's almost like a little set. On my next trip, I was on a bit of a mission - I had been looking for something unique I could use to hold makeup brushes, as my vanity had become a little bit overtaken by mason jars. I found something very interesting from Mexico that fits the bill pretty well. It's technically labelled as a candle holder, but it works very well with brushes too! I wouldn't mind getting a small lazy-susan for easier access to all of the holes, but I've been managing fine without one! It doesn't fit all of my brushes, but my most-used all fit perfectly. 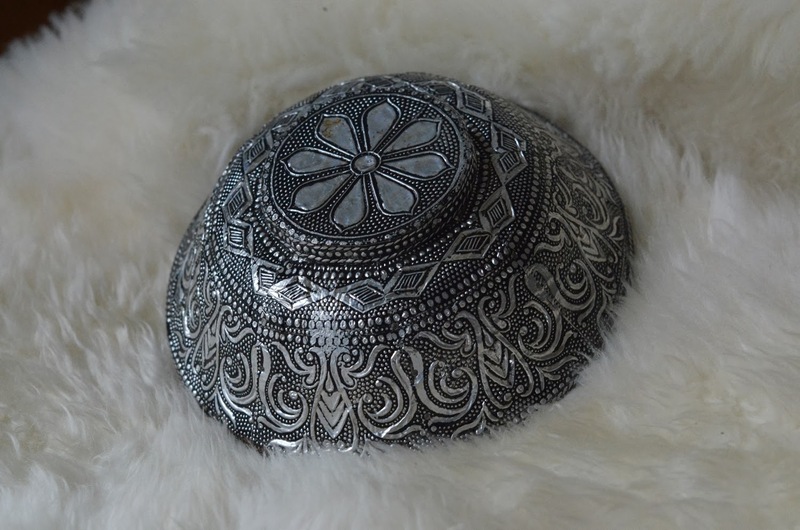 I continued my clutter-messy trend and bought a small metal dish from India. I have yet to decide what to do with this one, but it's a lovely shape and has a nice weight to it, so I doubt I'll have much trouble finding a spot for it! 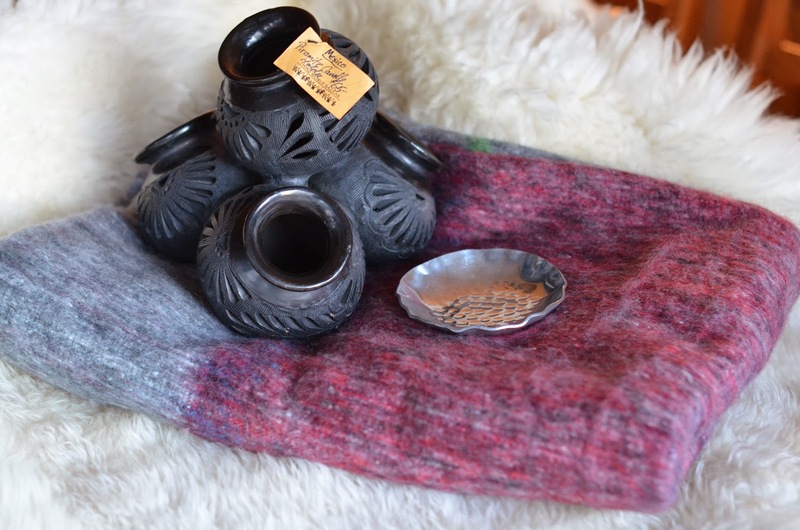 I also bought a super cozy alpaca blanket from Ecuador. The pinkish red goes well with my bedspread and it's SO warm I just want to hibernate in it! So, that's this year's Third World Bazaar haul. I did incredibly well, if I do say so myself. I can't wait to incorporate all of these goodies into my decor. My room is already packed with purchases from previous years, but there's always space for more! I don't think I've ever officially "hauled" LUSH before, to be completely honest. I'm a semi-regular customer of theirs, but I suppose the fact that everyone and their grandmas are doing Holiday LUSH Hauls right now has dissuaded me from making my own video of the sort. But, alas, this is precisely what having a blog is for! Lucky readers, you are ;) So, I had popped out to the mall the other day in search of a piece from the Guerlain holiday collection, which remains elusive by the way, and decided to stop in at LUSH. The overwhelming waft of blended scents engulfed me as I walked by and forcefully pulled me inside. You know how it goes. So after being shown a variety of items from their really delicious-smelling Holiday collection, I came away with one Holiday soap and a shampoo from their regular line. This was probably the most I have ever spent in one go at LUSH, even when shopping for gifts. My total came to a whopping $40 and I almost choked on myself - I usually buy one, maybe two soaps at a time, so this was quite the investment! The soap I ended up with is called Snowcake, which LUSH calls a "creamy marzipan confection" and a "LUSH Christmas cult classic". I can certainly see why this soap is so popular - it smells so warm and cozy (if that were a scent) and is so creamy and moisturizing. My body skin gets almost painfully dry in the colder months, so the fact that I'm not super itchy after using this soap is incredible. I'm seriously considering buying a larger piece to keep as a backup until next Christmas! It would be difficult to swallow the nearly $8 per 100g, but sometimes a girl's gotta do what a girl's gotta do! 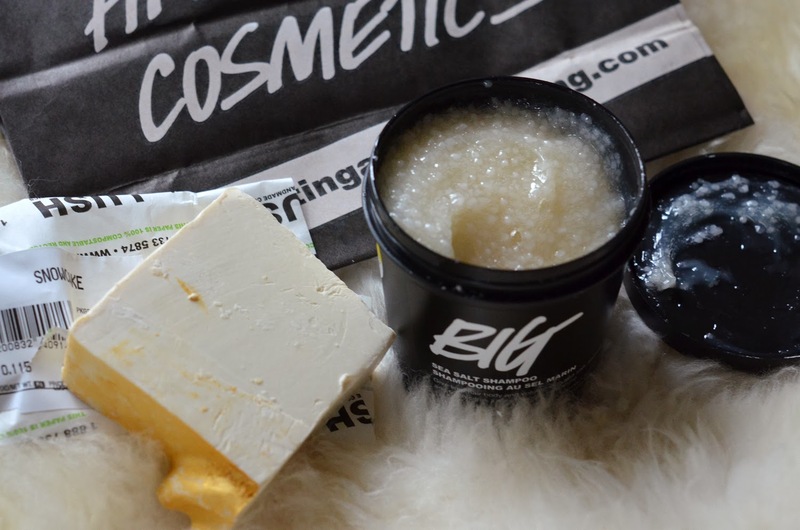 The shampoo I splurged on is called Big, and is a sea salt and lemon shampoo, designed to "lift limp locks" and impart "mega watt shine". The sea salt is supposed to "de-grease" hair, removing dead skin cells without stripping the natural oils. I'd seen this mentioned in quite a few videos by a YouTuber I've been watching a lot of lately, itsbl0ndie. We seem to have a similar hair type (oily scalp, long hair, dry ends, etc. ), so I thought I'd try it as a shampoo to alternate with my Phytocedrat shampoo. I've used Big twice already, and I know it's far too early to know for sure, but I'm quite certain I'm a fan. This past weekend I was able to wear my third-day hair down, which is absolutely unheard of. I have all of my fingers and toes crossed that this is indeed a new era for my hair, because this stuff was expensive at $26.95. Yikes! 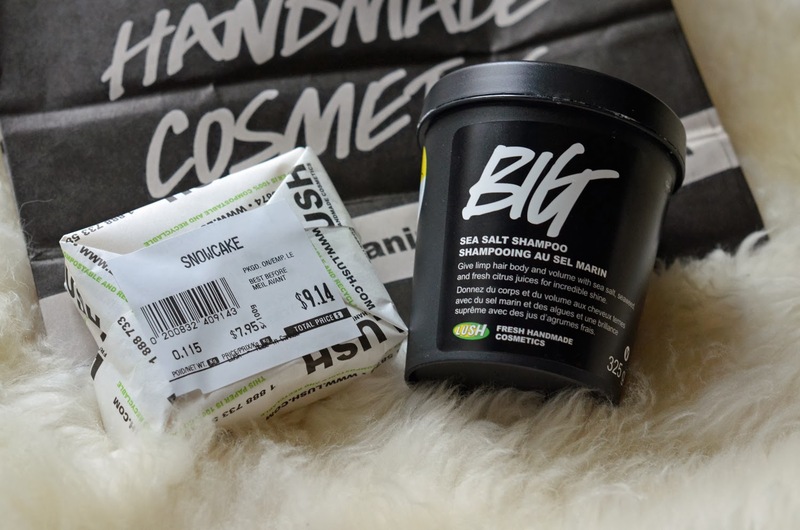 So, that's my little LUSH haul... all two bits of it :) I'll keep you guys updated on how my new hair routine is going, and whether I'll "have" to splurge on a LUSH conditioner too. My last foray into expensive conditioners with Phytobaume Reparateur wasn't all that successful, and I'm currently using a L'Oreal conditioner that I got for $3 at Target, so I might be on the way to becoming far too curious about LUSH's conditioners for my own good... Only time (and my split ends!) will tell. I've often found myself hemming and hawing in front of the Kat Von D display at Sephora, only to become overwhelmed and walk away empty handed. I'll admit I once walked around with one of her super ultra coverage foundations for a few minutes, before remembering that I hate full coverage foundations (but covet truly flawless skin... hmm....). So there's that, an almost. Well, now I've gone and jumped right in, starting with the True Romance Ladybird palette. The Ladybird palette includes eight matte eyeshadows and one travel-size eye pencil, the same sort of "deal" you often see with Urban Decay palettes (my all-time favourites). 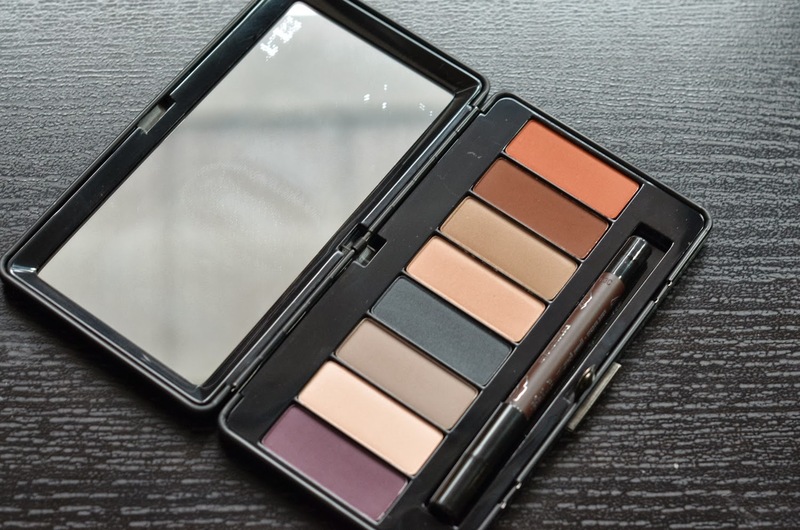 The palette can be purchased for $43.00 CDN at Sephora, and includes the shades Fur Elise, Vespertine, Renholder, Siouxsie-Sioux, Unrequited, Harlow, Wolf, and Cleopatra. The pencil comes in Immortal Love, a medium-dark brown. The outside packaging is absolutely beautiful, as you can see above, and it's a nice sized case with a good weight to it. There's also a really good-sized mirror in the compact, which is always a plus. 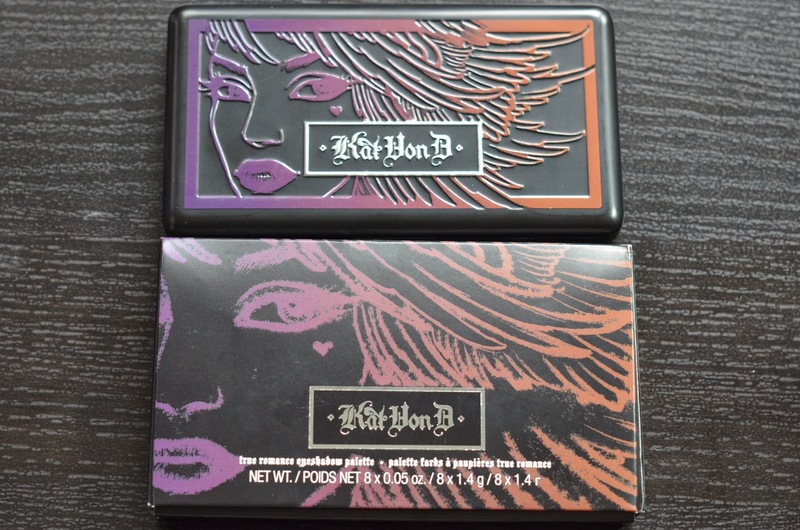 I've always been attracted to the packaging of Kat Von D products, to be honest. They're always so interesting and decidedly unboring. As for the shade selection, I'm very pleased. I don't love all of them, but that's pretty typical for palettes with this many shades. 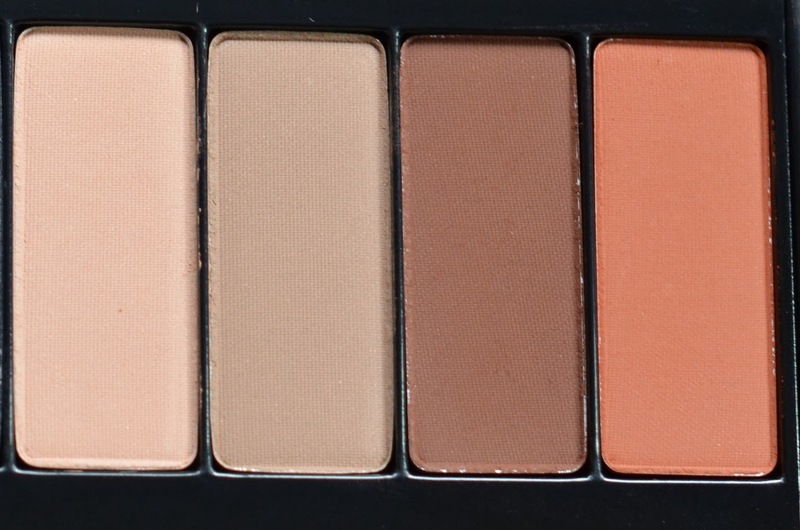 I rarely, if ever, like all of the shades in a palette. This is true even with the Naked 2 palette, so it's hardly a knock to this one to say I don't love everything about it ;) But my like to dislike ratio for this one is very good. The quality is certainly there across the board - while indeed being matte colours, they are also smooth, easy to work with, and not at all chalky or powdery. It might be a Matte Miracle. I can say definitively that I only "dislike" the brown and orangey-copper shades, Wolf and Cleopatra respectively. And this isn't because they're of poor quality, they're actually very smooth and easy to work with. They're just very warm-toned, much too warm for my pasty cool-toned complexion. Ah, pale people problems! The only other one that gave me a few problems was the purple, Fur Elise. It was a bit drier than the others, but not so much so that it's bad. It's just... inferior to the others. If I were to pick my two favourites, to go along with my two dislikes, they would have to be Renholder and Siouxsie-Sioux, a neutral taupey grey/brown, and a navy blue. Stunning! 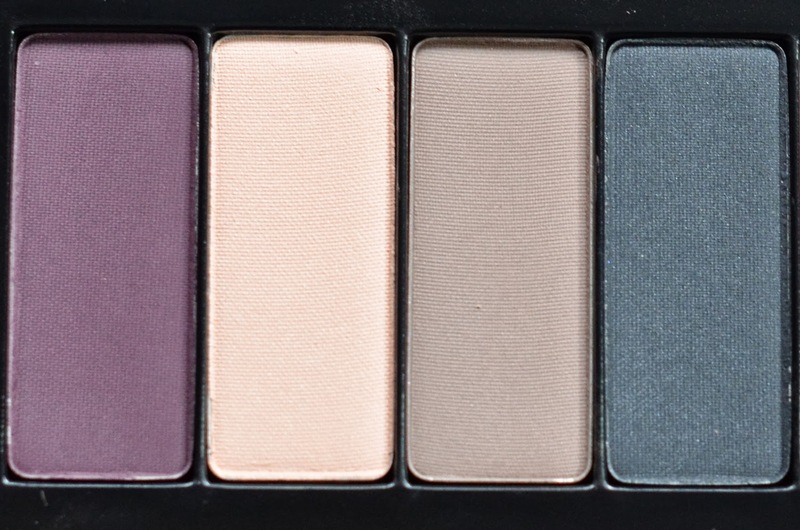 Needless to say I am very impressed with this palette, especially since it's all mattes. 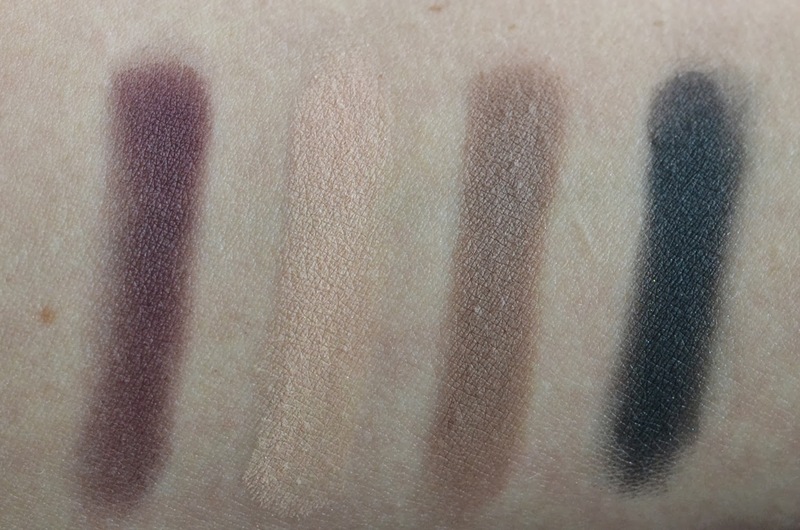 Mattes are so difficult to get right, and here were have eight that are solid offerings. You'll definitely be seeing more of this palette in the future, as it's so easy to mix and match with every other colour in your collection... which leads me to my one and only gripe, which is that it's not a standalone "grab and go" palette - at least for me. I can't get down with a strictly matte eye look. It just doesn't work for me. There has to be some shimmer or glimmer in there somewhere. So if strictly matte isn't your jam, then that's something to keep in mind! 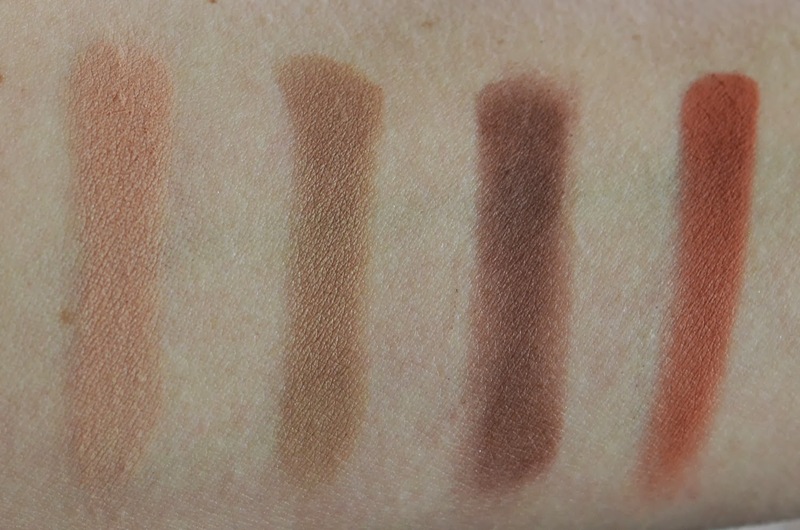 Other than that, it's a lovely little palette, and I can't wait to play around with it some more! Do you have anything from Kat Von D? What do you think of the brand? What are your suggestions for what I should get next? Today is my birthday. I'm not a big "birthday person" in my old age, but this year I had been planning to do a blog post about various birthday topics, including the Sephora birthday gift, my birthday face of the day, my birthday outfit... you get the picture. This was the plan. The plan did not include spending nearly 4 hours at the 24hr Emergency Animal Hospital with my Sadie. No, it certainly did not. But that's what the plan turned out to be. Happy birthday to me! So, in an attempt to salvage at least part of the original plan, this is this year's birthday gift from Sephora! I remember one year I got totally ripped off for the gift... it was supposed to be something really cool (exactly what is currently escaping me) but instead I ended up with a crappy little Sephora brand makeup bag that isn't even big enough to hold anything useful. This happened because they had "run out" of the original gift. Seriously guys?! Are there that many October babies? Anyway, I digress. This year's effort is quite solid, although I have already tried Benefit's They're Real mascara and was underwhelmed. Mum has benefitted (get it? get it?) from this and is now the proud owner of the mascara, while I'm very very excited to try Watt's Up! 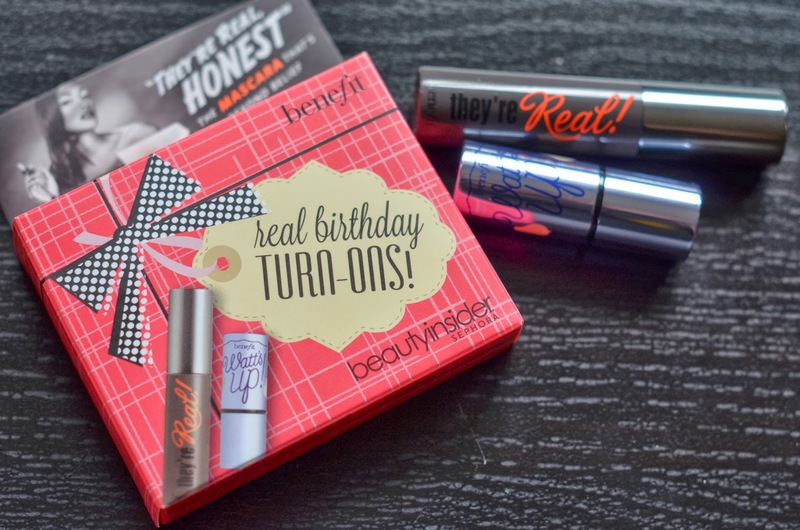 If you're a fan of the mascara, then this is definitely one of Sephora's better birthday sets! While I was in-store to pick up my gift, I bought another item, which you'll be seeing here in the near future, that sent me over the edge to qualify for VIB Rouge. I'm not sure how I feel about the fact that I've spent $1000 at Sephora this calendar year. Yikes. On the bright side, I now have free shipping on every online order, not just over $75 CDN. That's major. So what was supposed to be a day all about me turned into a day all about this furry baby here. I'm okay with it, since she's on the mend and is in much better spirits. When she's okay, I'm okay! She's a bit grumpy as she now has to wear the cone of shame, since she can't stop nipping at her rear end (the scene of the... emergency), and she's a bit dozy from her painkillers and antibiotics, but I'm sure she'll forgive me once she realizes this is all to make her better as soon as possible! Outfit #1: This is a "classy chic" way to wear faux-leather (or real leather, if sweating down your legs all day is your cup of joe... no judgements here...) while still having that slight badass edge. I love love love the coat, and the oxblood colour gives a great dimension to the otherwise black and white look. Meanwhile, the embellishment on the top keeps the outfit looking special, even when the coat is taken off. So many things I love going on in this outfit! Outfit #2: Obviously this is a more casual way to wear the leggings, with a fun slogan tee and wedge sneakers (that I already have!). The faux-leather leggings keep it from being "too" casual, as they add a little something extra that regular cotton leggings don't have. So perhaps we can call this one "sporty-chic"? I think the Phillip Lim bucket bag alone brings the "chic" to that title! Outfit #3: This one is a more "cool chic" outfit. Notice how I'm describing all of these with adjective+chic? It's the pants, I swear. They help transition the first adjective into being chic as well. They might be magical. Anyway, I love this one, as it has a preppier sweater on top, while keeping it pretty badass on the bottom with the leggings and moto boots. And red lipstick. And cat-eye sunnies. Now, I have yet to actually buy a pair of these leggings. I'd like to try a few of the pairs Aritzia has to offer, especially the Daria leggings, but they cost a bit more money than I have available in my clothing budget at the moment. Also, I really need to try them on in-store, and I haven't really been in the "Mall Mood" lately. So, once I have a spare $135 to spend, it just might be on faux-leather leggings... I can't believe I just wrote that. First Ever Baby Shower + Gift Ideas! This past weekend I went to my first ever baby shower, and I have to admit I went a bit crazy with the gifts. Granted, I am going to be related to this baby, and it's the first baby on this side of the family since me, so I suppose my excitement is warranted. Ever since we found out about the baby, I've developed another shopping sense: the baby boy shopping sense. 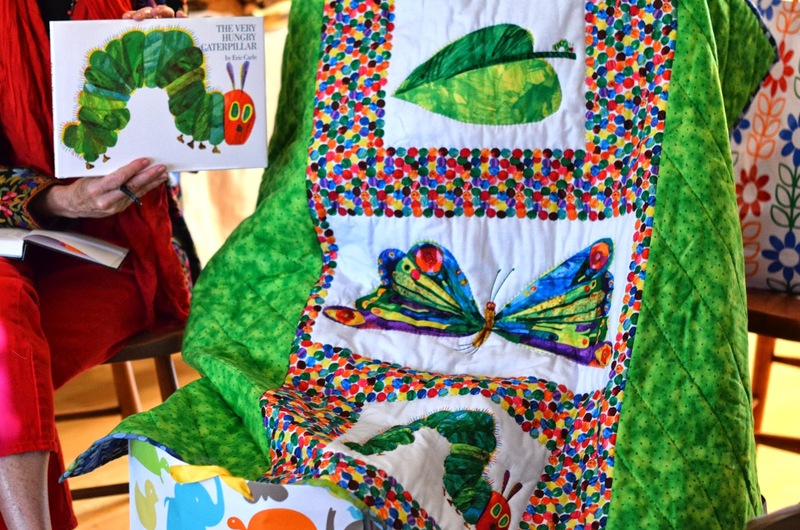 So, when I came across a handmade Very Hungry Caterpillar quilt at a craft fair this summer, well, I couldn't leave without it. 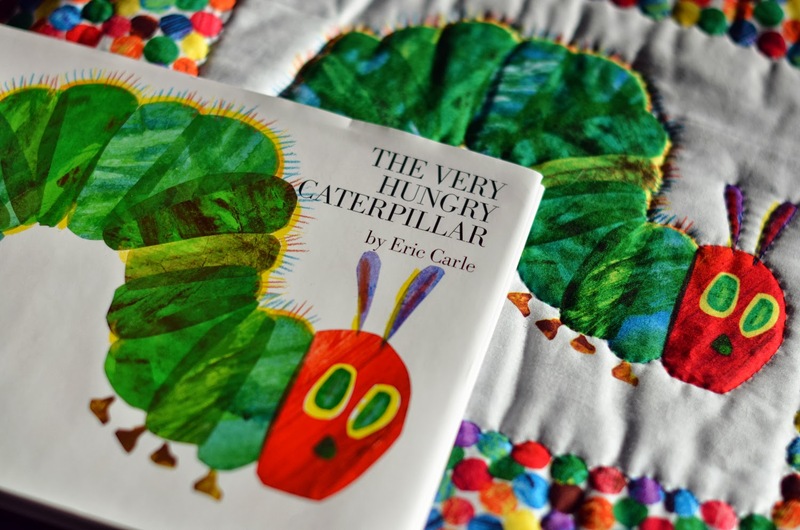 And of course, the next logical step was to purchase a brand new copy of the classic Eric Carle book. As you can now see, I'm all about themes when it comes to gift shopping, especially baby gift shopping! The rest of my gifts (yes, there are more!) didn't quite fit in with the caterpillar theme, but I guess not everything can have a hungry caterpillar on it... Oh well :) I had really wanted to get a baby sling, so I took to Etsy. 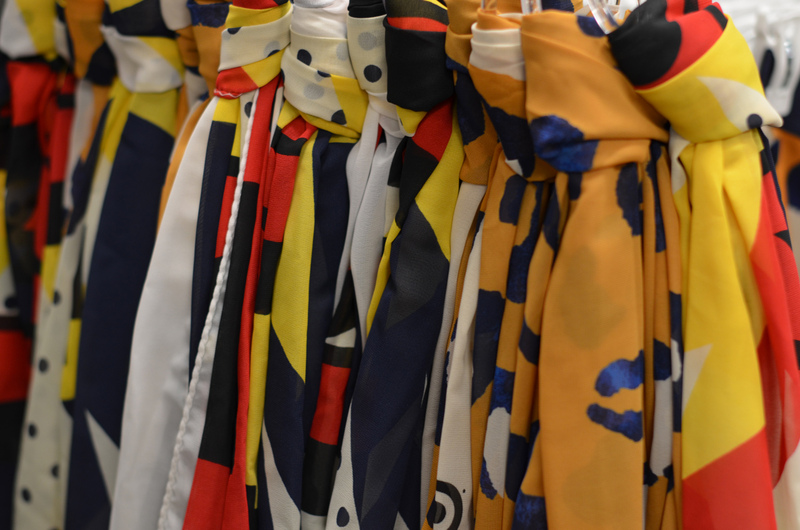 I was surprised to find a wide variety of slings on there, and a lot of price ranges! I didn't think spending an arm and a leg on a simple ring-style sling was too prudent, since at the base it's still a piece of cotton. My main issues turned out to be finding a store with good enough feedback, and finding a colour/pattern that I thought my cousin and his wife would both like and be able to wear. I ended up finding what I think is the perfect baby sling - a slate grey ring sling from an Etsy shop called RaspberryBaby, for only $40. 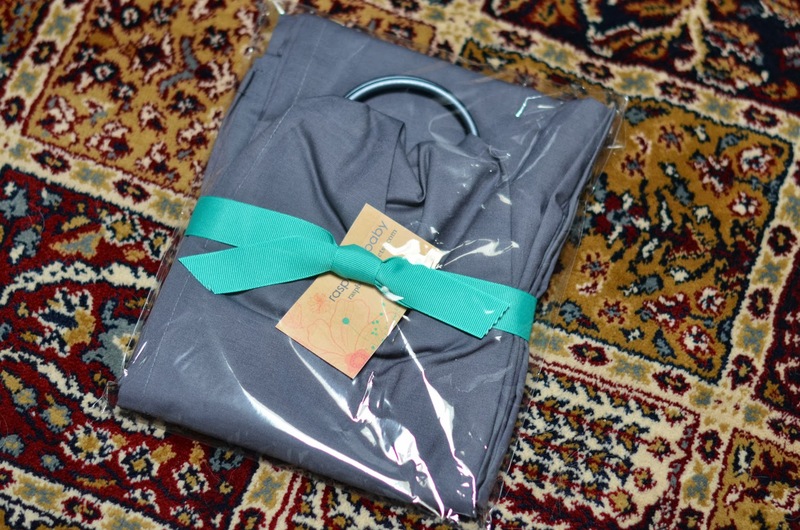 The shipping was a bit slow, but I think this may have been because the slings are made to order. So I won't hold that against them :) The sling came really nicely packaged, with an information sheet including care instructions and how to use the sling, something I imagine would be very useful, especially to first-time parents who have never used a baby sling before! As I didn't want to take the sling out of the packaging, I didn't get a chance to get a good photo of it. But if you're curious about what a baby sling is, or how it works, the Etsy shop I linked to above has loads of photos! The final little bit I found are these football legwarmers. How adorable are these? My cousin is a big New York Jets fan (ew) so I feel like football will be a running theme with our new little boy. 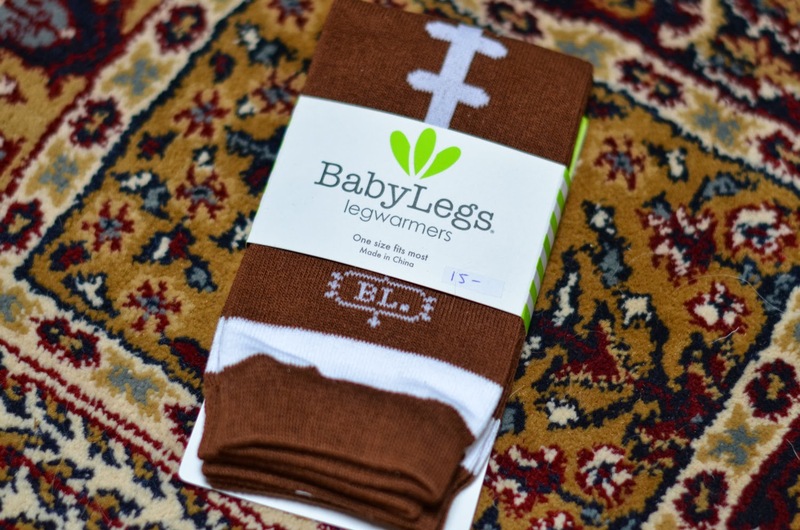 I can just imagine these legwarmers on chubby little baby legs. I'm already grinning at the thought of it! And those chubby little football legs under a little baby sized football jersey?! I can't wait! I have a feeling I'll be needing to learn some restraint when it comes to shopping for this baby, though. Or else I might end up in the Poor House - and not from shopping for myself. Who'd have thought?! 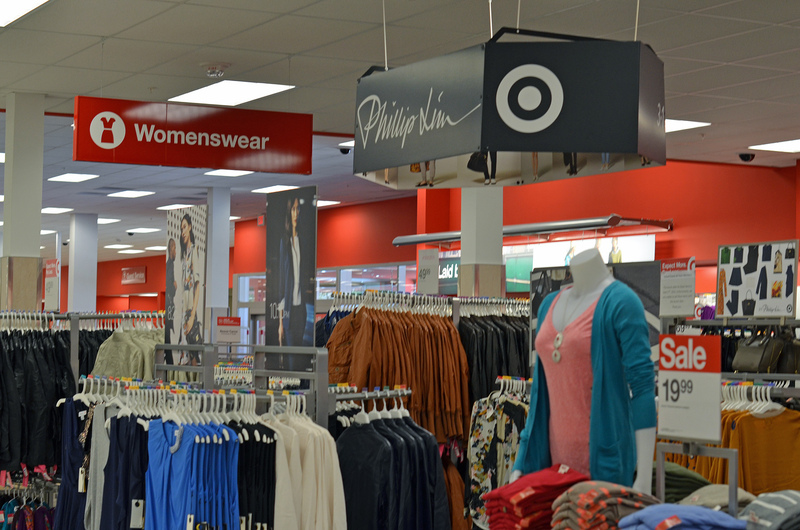 Target Grand Opening + Phillip Lim for Target! This post is a day later than planned, but honestly I had to recover and recompose myself after the absolute insanity that took place yesterday at the Target Billings Bridge grand opening. That isn't to say that I didn't enjoy myself and have a good time, because I did. I got to hang out with some really cool people, and I got most of what I had wanted to get from the Phillip Lim collection, so overall it was a really great experience! It was just overwhelming how crazy the rush for the collection was! We technically weren't allowed to take photos inside the store on opening day, so these are all from the blogger tour on Monday... and how I would like to remember the collection's display. I'm trying to erase the image of clothing strewn all over the floor and nine empty handbag racks from my mind. Ugh. But it was also very disappointing to see the greed and selfishness displayed by the shelf-clearers. They took about 2/3 of the bags, leaving the rack completely empty. I admit I lost my cool a bit and yelled at one of them, a young woman with at least 10 bags loaded into her arms. She didn't seem to care that there were many disappointed people standing and staring rather dejectedly at the empty racks... I realize that this might sound a bit ridiculous coming from someone who ended up with multiple bags (from 2 different stores, mind you), but I would have been 100% in favour of a reasonable limit on how many you could purchase. I have no problem at all with people getting multiple bags (obviously), especially if they're in different styles and colours. 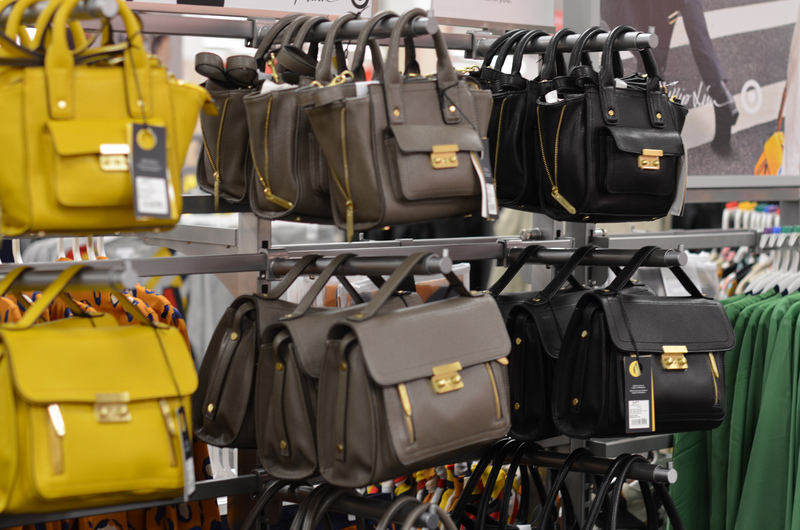 But clearing the entire rack of the black mini pashlis or the yellow medium satchels? Not so cool. I'll end my rant there, as I'm sure this happened at a lot of locations and you don't need me to remind you of it. It was just so deflating. Waiting in line with some other bloggers! 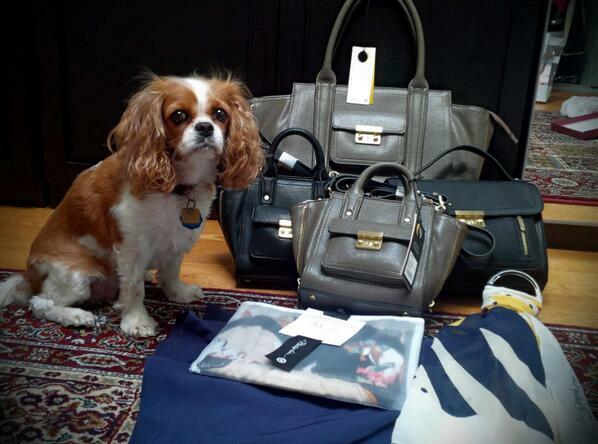 Sadie, and my final haul! P.S. In the interest of full disclosure, we were gifted a $50 Target gift card at the blogger event. This went towards my haul, as seen above, and was greatly appreciated! But this in no way affects how thrilled I am that Target is finally here. I have always loved Target. Today I attended my very first blogger event (does this make me a bonafide blogger now? 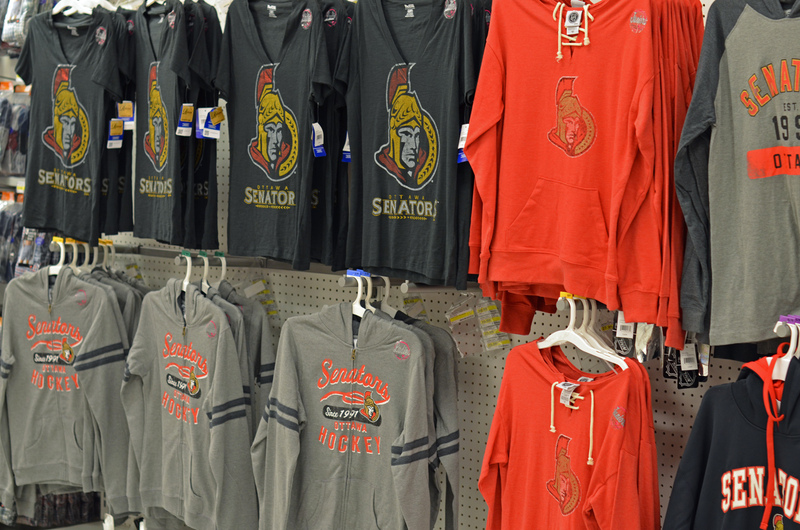 ), the blogger preview tour for the new Target store opening at Billings Bridge in Ottawa. 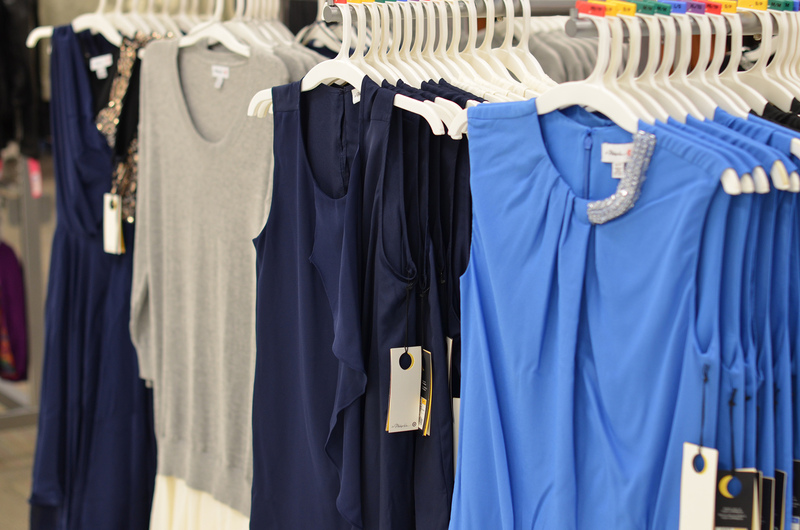 The store officially opens Sept. 17 (Psssst! That's tomorrow!). I've been waiting for this day for years - Target is one of my first destinations every time I'm in the U.S. 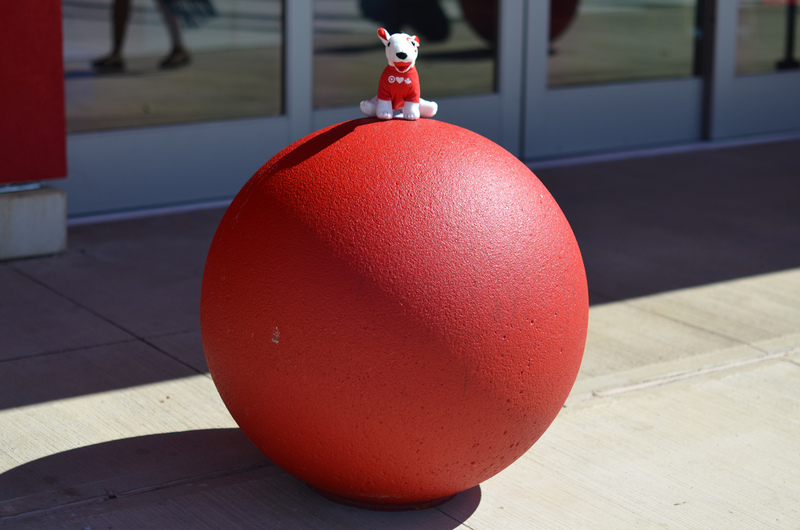 I'd even venture to call myself a Target Aficionado. It's that serious. So needless to say, this is major. 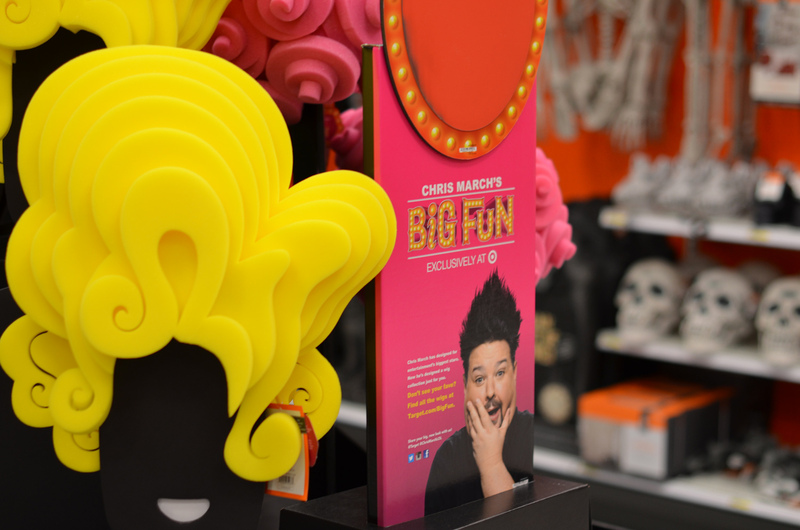 Myself and nearly 20 other bloggers descended upon the Target store, eagerly asking questions of the Target Canada Spokesperson Lisa Gibson and taking photos of everything and anything. It was really a wonderful experience, and a great opportunity to meet other bloggers - fashion, beauty, and otherwise. 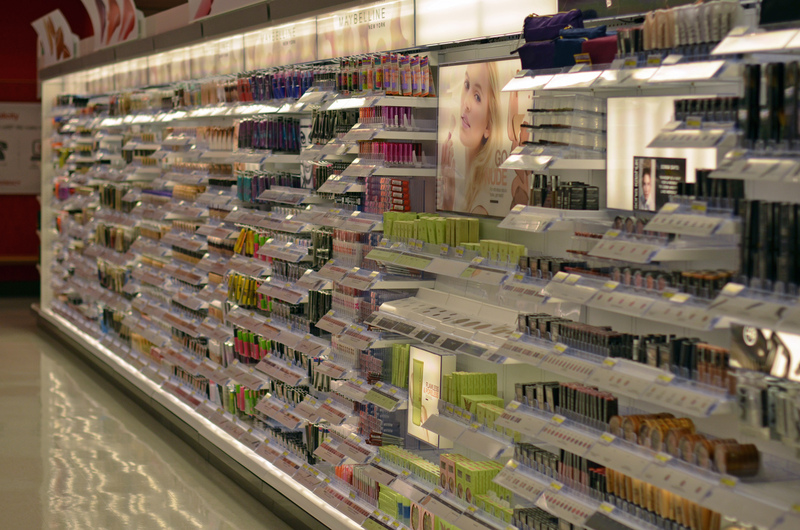 The bright and inviting cosmetics aisle was a popular photo-op for us bloggers. They really do make this aisle pretty, don't they? 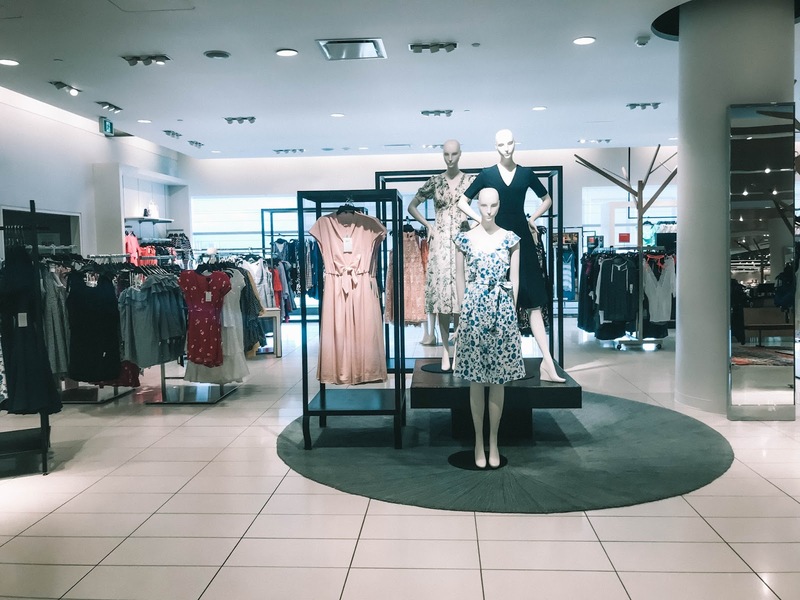 Gibson says that the allure of this aisle is no fluke - the innovation known as "backlit fixtures" are a feature in the U.S stores brought purposely to Canada because they "bring out a lot of the pops of colours, and make a really nice environment to shop in". I couldn't agree more! As for new products, both the Sonia Kashuk and Pixi brands have made their way to Canada and - this is the best part- are at a price that's on par with the U.S. The Billings Bridge location also boasts a large and well-stocked (except for fresh produce and meat, of course) grocery area. 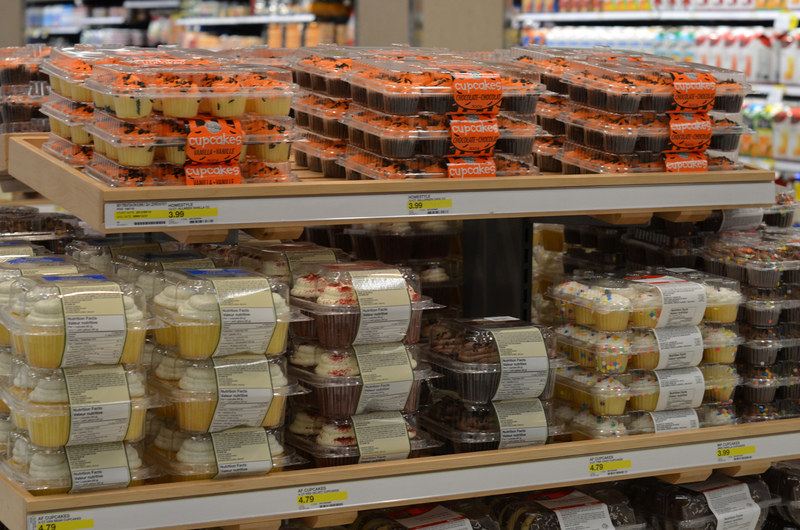 I was particularly distracted by the enormous display of cupcakes. Maybe the fact that it was almost lunch time had something to do with that :) Below is a fun Halloween display, offering up some rather interesting headgear for those of us who go big on Halloween. Who knows, I might just snag one of these! 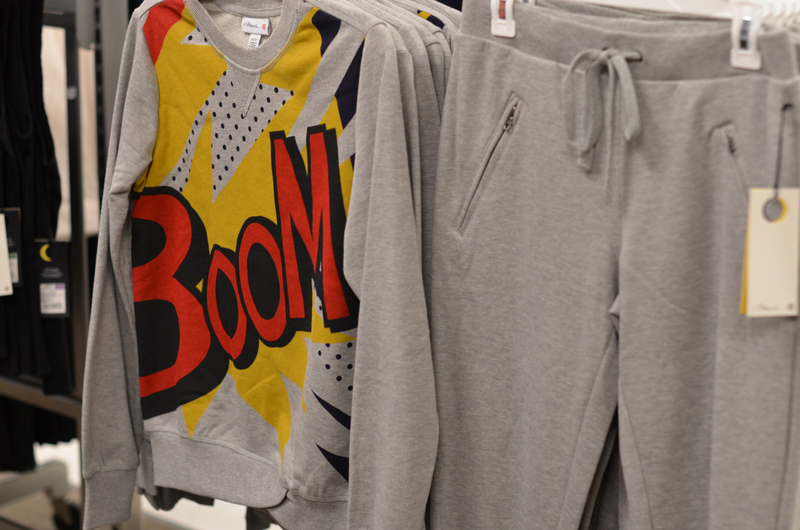 As I'm sure was the case for most of the bloggers there, the Phillip Lim for Target collection was the highlight of the tour for me. 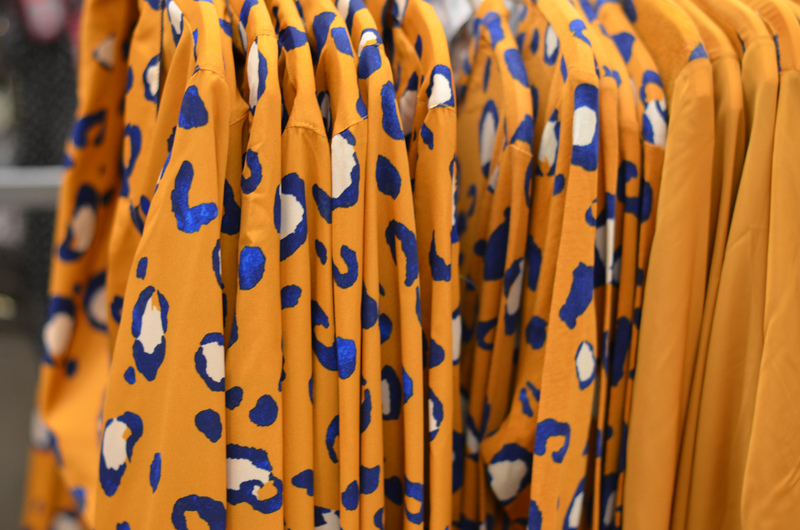 There were a lot of oohs and aahs and careful plotting of shopping strategies, as the collection launches at the same time as the store opens for the first time, guaranteeing an extra flurry of insanity - or, rather, Lim-sanity. I'd really love to get one (or two...) of the mini-Pashli satchels, but the selection was small and I'm quite certain a few other of the bloggers had their eye on them too. We'll be thrown to the wolves tomorrow morning after our Blogger Breakfast, so keep your fingers crossed for me. I wasn't too wowed by the selection of the clothing items in the collection, especially since some pieces are online-only - and Canada doesn't have online shopping yet. 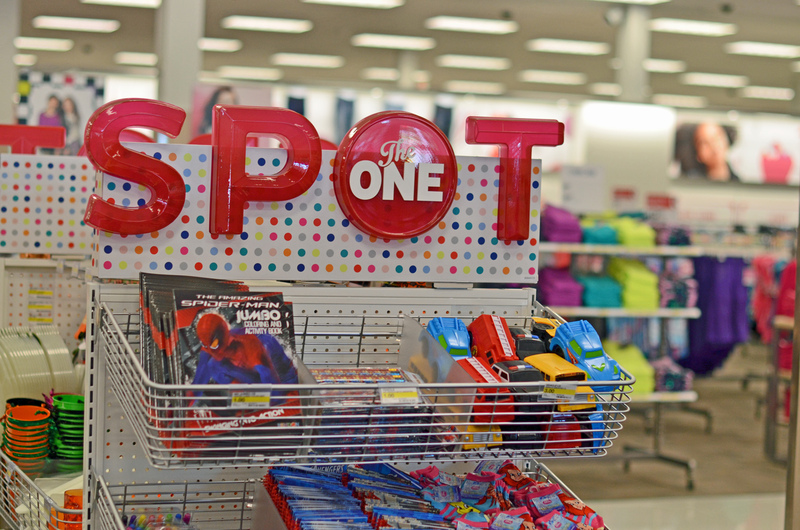 I asked Lisa Gibson about that, and she said that Target really wanted to get the brick-and-mortar store launches right in Canada first, but that it's definitely in the plan. So it's not a matter of if we're going to get online shopping, but rather "a matter of when". So, that was my day today! 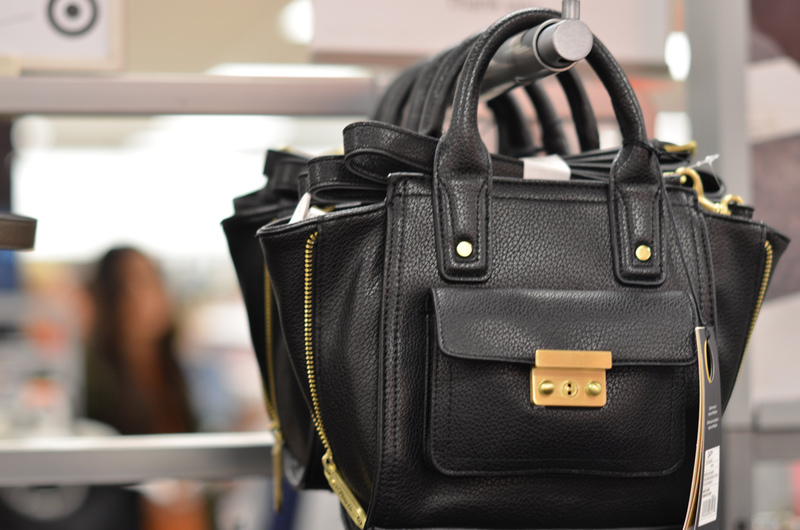 And yes, I have a lot more photos and coverage of the Phillip Lim collection to share with you, but I'll be saving that insanity for tomorrow's post. Hopefully I'll be successful in my shopping - wish me luck! This whole Etsy thing is starting to become a problem. I might need an intervention. So much pretty, so little time. And money. So, so, so little money. I had been so good lately about not ordering things online, but then I cracked. 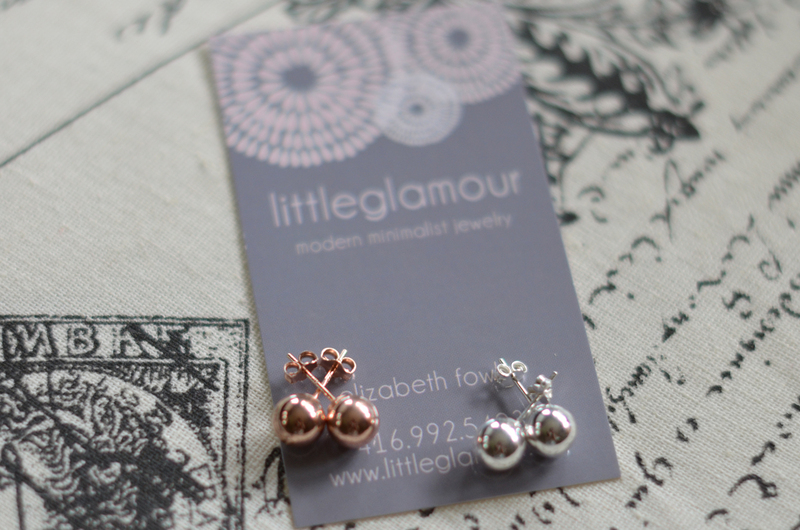 I ordered some pieces, earrings this time, from my favourite Etsy seller, LittleGlamour. I was going through my jewelry chest and realized that while I have hoards of dangly, hoopy, and crazy earrings, I don't have any nice, simple studs. So... I ordered some. Problem solved! Also, because I have no self control and am easily distracted by shiny things, I got both the silver and rose gold versions of the 8mm ball earrings. Aren't they beautiful? The style comes in a few different sizes, but I'm very very happy with the 8mm. 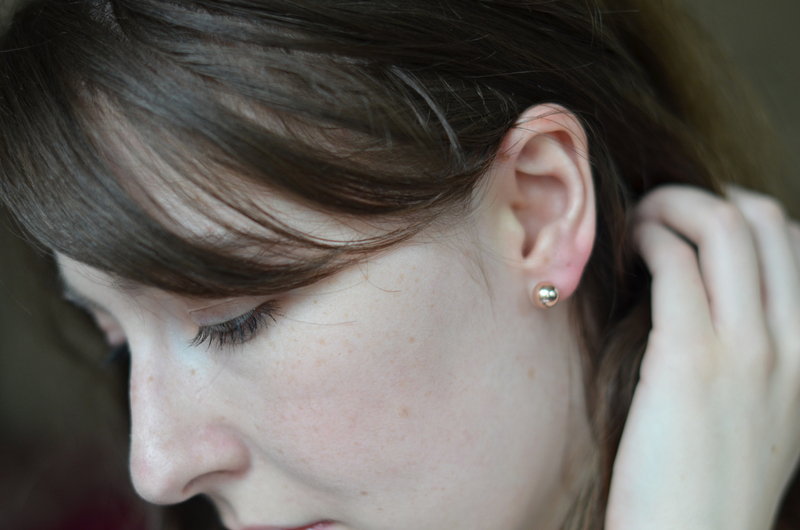 I wouldn't want them any bigger or any smaller, so I'd say these are perfect :) They go with absolutely everything and are a great alternative to my usual silver hoops. I'm all for a bit of jewelry-diversity! These are definitely some of "those" pieces that I'll have forever and will always be current, so even though I was a bit bad to break my Etsy no-buy, I think these were an excellent purchase! You'll be seeing me in these a lot this fall and winter... heck, even next spring and summer too!